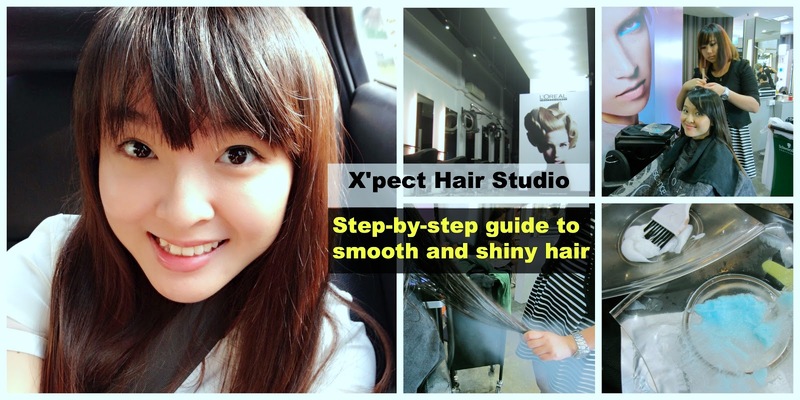 Home / best hair treatment singapore / hair salon review / haircare review singapore / where to cut my hair / xpect hair salon review / xpect hair studio / Xpect hair treatment review / What happens during a hair treatment at X'pect Studio? Recently, I was concerned about my seemingly lifeless hair. It was so difficult to tame, being frizzy and awkwardly angled every time I brushed it aside. I was really excited when X'pect Hair Studio invited me to try one of their hair packages — hair dye, hair treatment, anything at all. Since my hair was already coloured, I decided to have a hair treatment session with them! My senior stylist, Catherine Cheung, first analysed my hair and scalp. She was spot-on in declaring that my scalp was usually oily by the end of the day. There were many times I felt SO IRRITATED by my flat and sweaty hair (and I could never guess I had oily hair)! She said this is common due to the humidity in Singapore. My hair looks shiny in the picture here, but that's because I used L'oreal Extraordinary Oil before going out! Catherine was very meticulous during the application process. She was also very sensitive to how comfortable I was throughout, and I felt really touched by the warmth of her service. She also shared several haircare tips as I lamented how dead and dry my hair was. I loved her sweet and down-to-earth demeanour, and she was really efficient. I don't know what we were laughing about, but it was a really fun and jolly hair care session! They were also really transparent with the process as I asked what sort of products they used. Interestingly, they used a 'les T'Q' hair product which I cannot find on the internet. It seemed compatible with the menthol hair scalp treatment. I felt like the temperature of my hair decreased a lot... it was really cold! My favourite part was the head massage. I almost fell asleep as she applied pressure to the various acupressure points on my head. Next, Cath used an icy cool steam technology on my locks. I felt like Princess Elsa from Frozen... with my head emitting some sort of ice fog, haha! It felt really weird to hear electrical noises near my scalp. The process was completely painless, although I kept jerking to the strange sound. Cath was really nice as she constantly checked if I was fine throughout the process. It's a wrap! Thanks to the lovely Catherine Cheung, senior hairstylist at X'pect gallery! If you're fixing an appointment, do ask for her services! UPDATE: Several weeks on, my hair is still vibrant, soft and shiny! 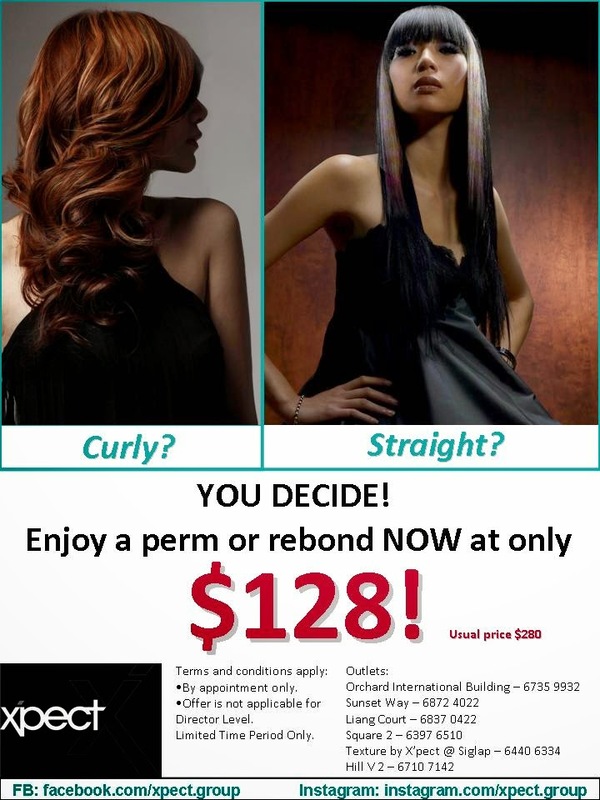 Check out the current promotion that X'pect has! It's troublesome to assess a replacement hair removal methodology that claims to be permanent. it's used throughout the planet because the solely methodology of permanent hair removal, for more information click here men waxing.